Provo rides in style. Below is a list of informal, recurring bicycle rides throughout the city. You’ll want to double-check to see if any particular ride is still planned before showing up in your tweed cycling cape with no where to go… Usually updates are available via Facebook. You’ll also want to keep checking back to this blog and the BikeProvo.org Facebook page for updates on non-recurring rides and special bicycling events throughout the year. We’re pretty serious about riding around here, so there’s almost always something coming up. Monday Night Night Ride – Join this (mostly 20-something) crowd for a night-time jaunt around the city. 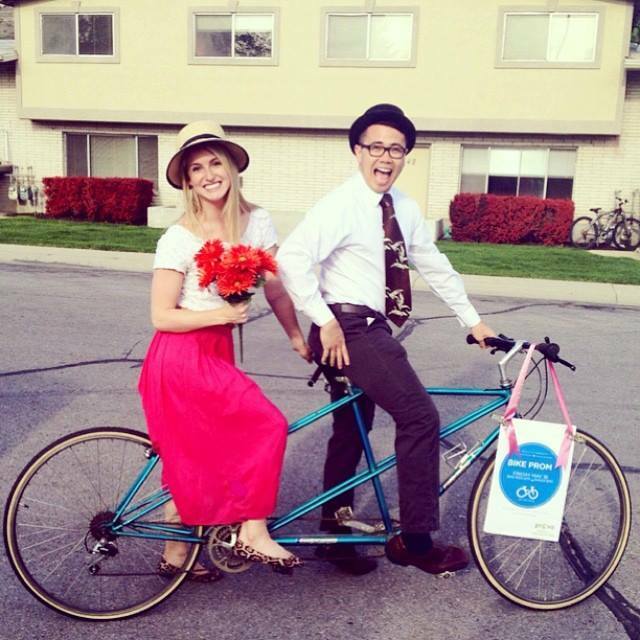 Bike Month (May) – Every May is National Bike Month and Provo celebrates with nearly a dozen events. 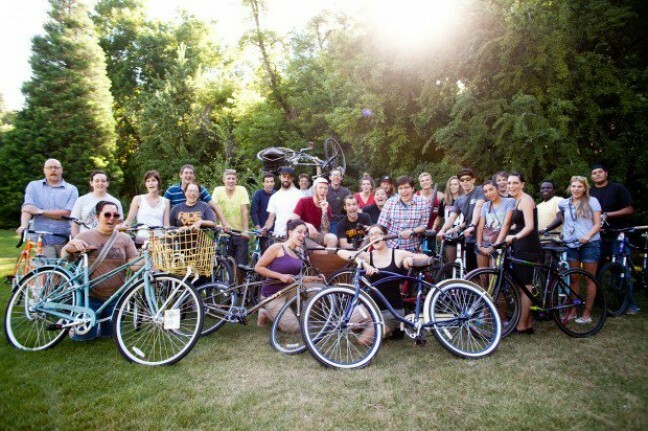 Join us for the Mayor’s Bike-to-Work Day and many other events at the Provo Bicycle Collective and throughout Provo. Ride of Silence – Every year during Bike Month we ride on the third Wednesday in May with people around the globe to honor those who have been killed or injured while bicycling. Students in the Latinos in Action Club at Dixon Middle School have been doing an excellent job organizing this ride since Provo began to participate nearly a decade ago. Watch for more information as May approaches. Cyclofemme (May) – We join the national Cyclofemme movement with a Provo ride every year during the weekend of Mother’s Day. Women of all ages are invited to join in and celebrate bikes. Watch for more information as May approaches. Bike-to-School Week (September) – Keep an eye out for Fall events at K-12 schools throughout Provo. We’ll be hosting Bicycle Rodeos, providing tune-ups, and offering incentives to get kids on their bikes.